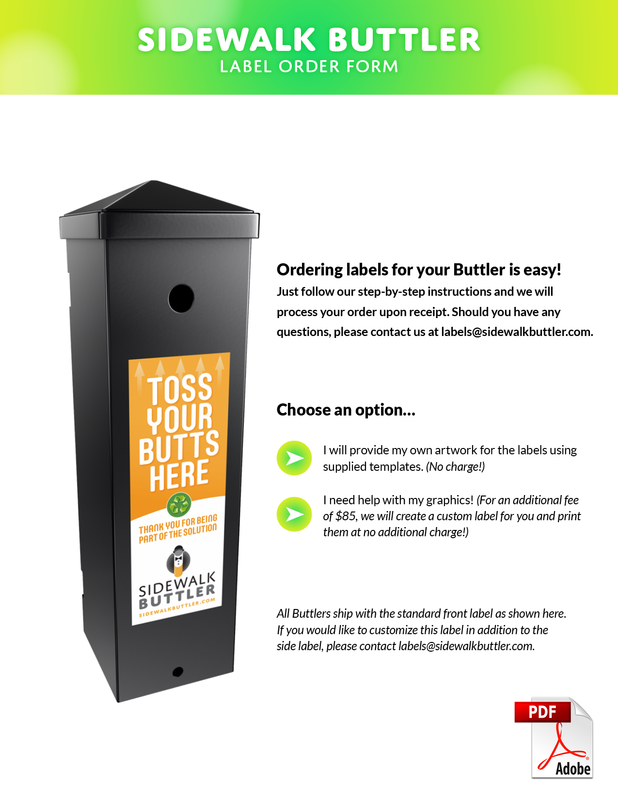 All of our Sidewalk Buttlers provide a dynamic messaging platform for our sponsors. They can be labeled and branded with your logo or a custom message at no extra charge at time of manufacture. Create your own design or choose from a number of available templates to help get you started. For an additional fee, we can take care of the graphics for you. Simply download the PDF order form below and follow the easy step-by-step instructions to get up and running in no time! local drive before entering data.